The grape comes from the northern area of the province of Malaga. It is grown on flat lands with reddish-brown lime soils. Its continental climate is characterised by hot summers and cold winters. The wine is exclusively produced from the free-run juice of selected hand-picked over-ripe grapes. Part of it is laid out to dry in the sun on “paseros”. Alter the partial fermentation up to obtain a minimum of 7 degrees natural alcohols, the nest step is the “apagado”, mutage or the “encabezado”, fortification to arrest the fermentation. As a consequence of the incomplete fermentation process, part of the initial sugar contents of the must is conserved, giving the typical natural sweet taste to the wine. Dynamic “criadera y solera” method, the system of casks in a pyramid. Aging in American oak casks of 500 litres. Over 30 years of aging. Actual alcoholic strength by volume of 17 %. Reducing sugars content over 150 g/l..
Soft mahogany with iodine coloured borders. The complex aroma reveals hints of sun-dried “toasted” grapes, coffee, dried fruits, liquorice and honey. Well-balanced in mouth, with the elegant sweet taste that characterizes the natural sweet wines with a long fermentation, full-bodied with a long and intense aftertaste. Very different from other Pedro Ximénez wines produced as “Tiernos”. 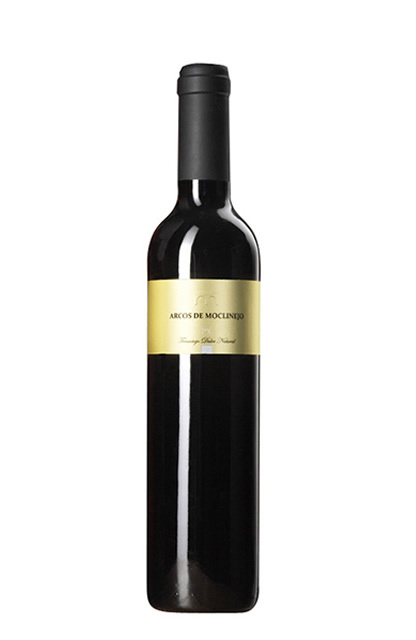 This very old wine is a reference amongst the natural sweet wines “trasañejo” from Málaga. Store in a cool (15 – 17 º C), well-ventilated and dark place. Serve between 10 and 14º C. Chill, preferably in a wine chiller or an ice-bucket with some water and ice-cubes during a short period of time, just to lower its temperature without unbalancing the wine. As a dessert wine, to go with ice-cream, blue cheese, during the after-lunch conversation or to relax in the evening.